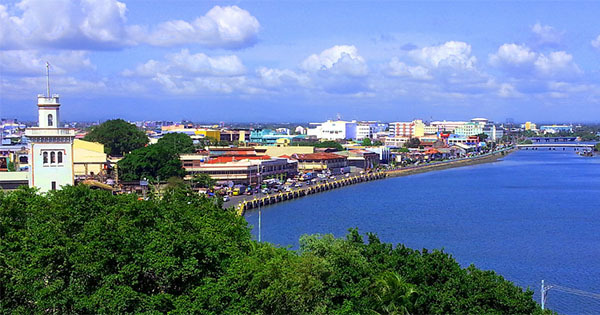 Iloilo City was once called the Queen City of the South, and now more known as a highly urbanized locality on Panay Island. This wonderful city is the center for trade, commerce, medical tourism, real estate, tourism, education, and industry in Western Visayas. As the last Spanish-colonial capital of the Philippines, you will love seeing important ancient architecture there, some of which we are going to highlight in this article. #1 - Central Philippine University: Also known as Central or CPU, Central Philippine University is another historical landmark in Iloilo, which got built in 1905 via a grant given by American philanthropist John D. Rockefeller. As the second American university in the Philippines and Asia, it pioneered nursing education in the country. Moreover, this famous school is the home of the first Protestant founded hospital in the Philippines built in 1901, which is the Iloilo Mission Hospital. And although affiliated with some Baptist churches, CPU remains to be non-sectarian and independent. #2 - Iloilo River Esplanade: An incredibly lovely place to spend a leisurely afternoon walk with your buddies or family, Iloilo River Esplanade is thus a must-see when you are in Iloilo City. Within easy reach anywhere from Iloilo City, you can find this pathway along Iloilo River, in Mandurriao. And don’t you worry about getting hungry, because there are cafes and restaurants in the area, where you can get filled once you are done with your afternoon exercise, drink or people watching at Iloilo River Esplanade. Designed by Architect Paulo Alcazaren, who also designed the Singapore quay and river esplanade, this popular tourist destination is very clean, truly relaxing and definitely worth visiting. #3 - Camina Balay Nga Bato: Discover the sweetness of Iloilo’s people, food and history through Camina Balay Nga Bato, which has stood there for more than a hundred years! You can have the chance to meet its owner, already from the 6th generation, who still calls Camina Balay Nga Bato, as their home, and get to hear more about Iloilo in addition to how well-known families lived there more than a century ago. Famous for their native hot choco, molo and biscocho, once the guests have had all of these, they may proceed to checking out awesome souvenirs that they can take home with them – such as batidor –a native wooden stick used to stir heated chocolate to make it frothy. For reservations on guided tours, souvenirs and snacks you may call (033) 336-5075. #4 - Agho Island: Situated on the northeastern part of Iloilo, in the municipality of Concepcion, Agho Island is an islet with stunning white sand and shimmering, clear water. Only for the adventurous at heart, it is ideal for a day trip, since there are no business establishments there like hotels and restaurants -- so go ahead and bring your own food and drinks, or ready your tents if you are planning to do some camping. This site, mostly uninhabited and belongs to the Villarias clan, is surrounded by other amazing islands, namely, Igbon Island, Malangabang Island, and Quiniluban Island.